If Hollywood has taught us something, then kissing your beloved in front of The Eiffel Tower is the most divine experience ever. The city of love, Paris is one of the most beautiful destinations in the world and is one of the top choices among the honeymooners. Nestled on the bank of Seine River, Paris’s architecture, ambience and vibe is like no other place. The experience of honeymoon in Paris has something magical that brings two lovebirds closer. Paris is the pride of Europe tourism and lovebirds from different countries visit here for a splendid vacation. The endless cobblestone streets, museums, gardens and private cruises, there is a lot to explore when you are planning for honeymoon in Paris. The Eiffel Tower is the modern synonym of romance and is one of the mandatory places to visit in Paris. A visit to this magical tower ignites romantic vibes among the lovebirds. The top of Eiffel Tower is almost 1000 ft. high and gives lovely, mesmerizing views of the city. Book a dinner date at one of the highest restaurants in the world and you’ll be amazed at the grandiose and thrill of the experience. Eiffel Tower is the perfect place to propose to your lover, so even if you are married then there is no harm in asking your better half one more time. Paris Tourism offers a lot of activities around the park so your visit will always find a purpose even if you are not interested in climbing the top of the tower. A tradition among the lovers, they believe that fixing a padlock on the bridges and throwing the key away in the water brings joy to the love life. Love locks from around the world can be found on the Pont de l’Archevêché. Couples from different countries who arrive for their honeymoon in Paris make sure that they fix the padlocks with their initials written in French, English, Japanese, Chinese, German and even Urdu. This ritual is amazing and one of the highly recommended things to do in Paris. 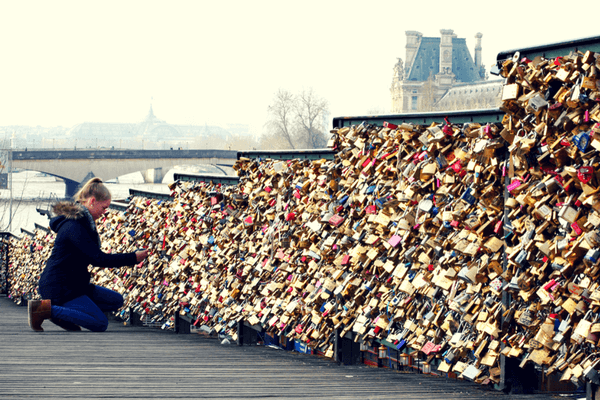 A romantic vacation in Paris will be incomplete without love locking at Pont de I’Archeveche. Temple of Love in the city of romance is a no-brainer, right? 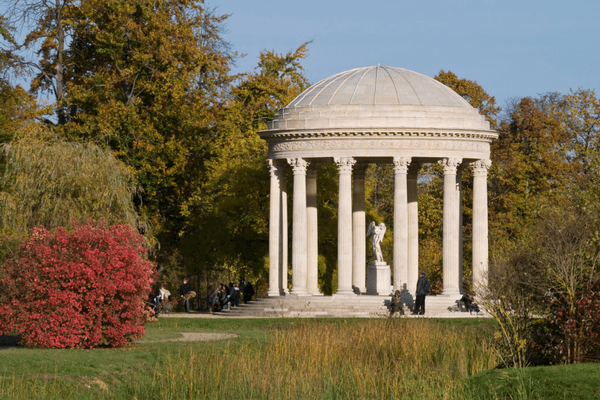 Yes, Paris has an actual temple of love or as locals call it, Temple Romantique. This temple is popular as one of the most romantic places in France. The sight of the sunset from this temple is a divine experience. Imagine taking couples only boat and then exploring the lake in search of the temple. A romantic boating experience gets even better if you are able to find a boat with your lover’s name written on it. The ambience of the temple of love makes it an appropriate place to make a proposal. Luxembourg Gardens is full of eclectic surprises. Spread in an area of 25 acres, you’ll find beautiful statues, fountains and millions of colourful flowers amidst a soothing surrounding. 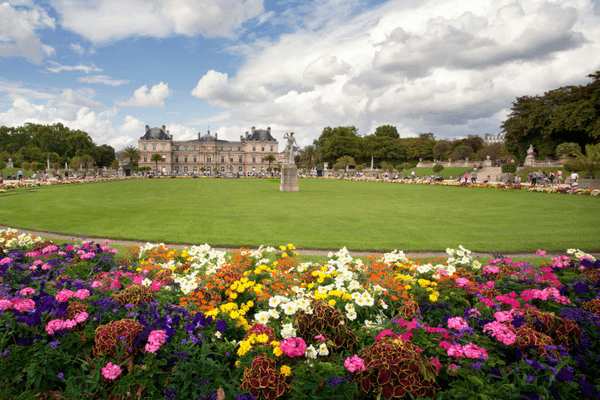 Luxembourg Garden is a riot of colours with flowers of different colours adorning the area. The tranquil surrounding makes this garden a perfect spot for a couple to spend some private time. The serenity of this garden makes it one of the quaintest places to visit in Paris. There are no worries of running into another couple or tourist because of the vast expanses of the garden. If you are the fan of the romantic movies and recreating the iconic dinner alleyway scene from The Lady and The Tramp has been your lifetime wish then you are in luck. As a charming little secret, Rue du Faubourg Saint-Antoine’s Capucine is a quaint little café in a corner that one can easily miss. This lovely café will help your dreams come to life with its beautiful setting of tables kept in the corner of the cobbled pathway. Places De Vosges is a beautiful locality in Paris that was built for Henry V. The peach colour theme in which the buildings are painted gives a very romantic vibe. The local state park lets you organize your picnic spread and have some quality time with your better half. 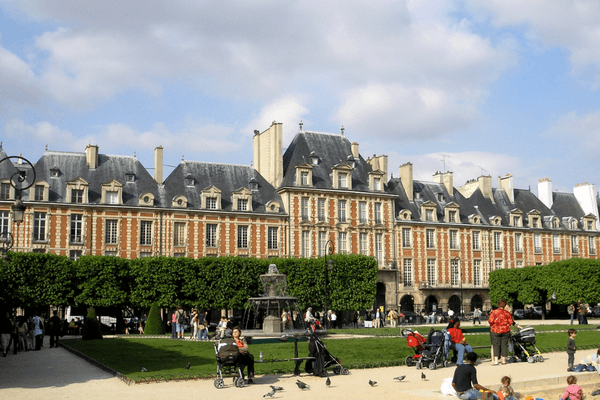 The locality knows its romantic vibes and hence has set up many designer boutiques, cafes, pubs and shopping arcades for the traveling souls who want to experience a taste of Paris Tourism. This is a must explore locality for a couple who has come for a romantic honeymoon in Paris. There is an art gallery and a photography museum in this locality where the art lovers can find their piece of mind. 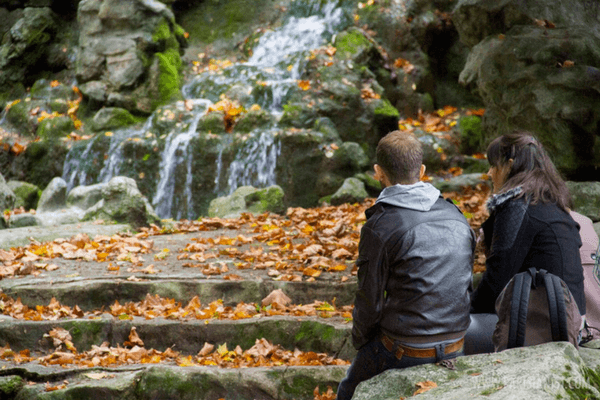 Among the many gardens in Paris, the Garden of Romance or Parc des Buttes Chaumont holds a distinctive appeal among the lovebirds. This park is near a hilly area outside Paris and has tranquil surroundings. The park is full of romantic elements like small waterfalls, a lake, a grotto, a small island that are spread in an area of about 62 acres. It is one of the must visit places on your honeymoon to Paris. The romantic places of Paris hold many secrets and each of these gems has a specialty. 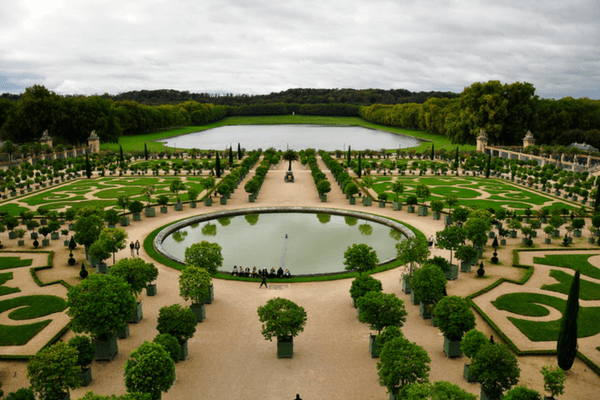 Among these wonders, the Garden of Versailles holds a special spot. While a stroll in the park is more is an intimate affair, renting a row boat for your beloved will total make them fall in love with you all over again. Filled with terraces, lush groves, fountains and magical parterres, Versailles is certainly one of the most picturesque places in Paris. Cruising on the enchanting River Seine is a very intimate experience. One of the most romantic things to do in Paris. The cruise overlooks the city of Paris and during the night. It becomes more lovey-dovey with the lights and the ambience. These cruises provide idyllic candlelight dinner with a three-course meal. During New Year and Christmas, River Seine is lit with the fireworks in the city’s backdrop. Exploring Paris is like visiting a romantic scene from your favourite fairy tale, except that you are in it. Plan a honeymoon to the city of love and let your dreams of a love-filled vacation come alive. Honeymoon in Paris is a dream for both young & old couples alike. Plan your next romantic trip to Paris for a memorable experience!